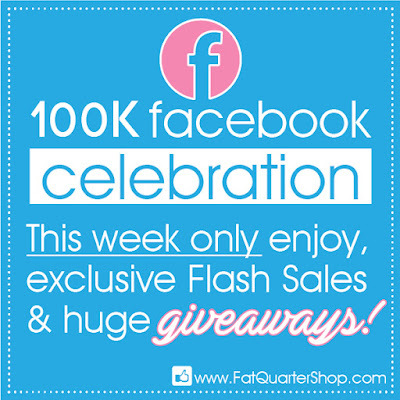 Fat Quarter Shop's Jolly Jabber: Celebrating 100K on Facebook with Exclusive Sales and a Knock-Your-Socks-Off Giveaway! Celebrating 100K on Facebook with Exclusive Sales and a Knock-Your-Socks-Off Giveaway! Thank you all for reading the Jolly Jabber and for being part of our Fat Quarter Shop community. We're so glad you're here, and would love for you to join us on Facebook, too, if you haven't already! This week we're celebrating our 100,000 page likes with daily Facebook-only exclusive sales and a mega giveaway! Our Facebook fans will be treated to a fab, fun, Facebook-only Flash Sales Monday through Friday of this week. Every day at 8 a.m. CST we will post specials exclusive only to our Facebook audience. Items will include select fabric, precuts, notions and more - up to 90% off! If that isn't enough to get you excited, how about the chance to win an Aurifil Full Selection Thread Case valued at nearly $800 dollars? Yep, that's right! We're giving away a Aurifil Full Selection Thread Case! 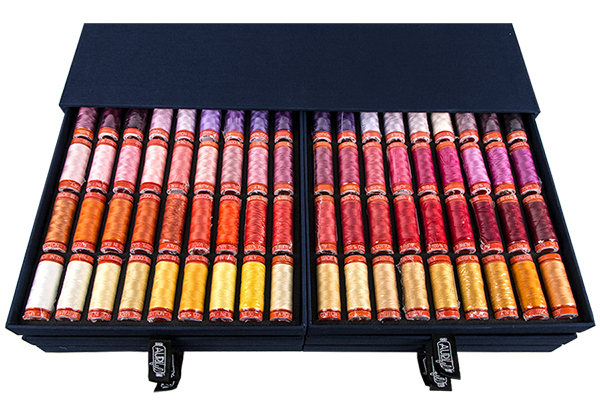 This gorgeous, amazing, swoon-worthy collection of 270 spools (220 yards/spool) of 50wt. 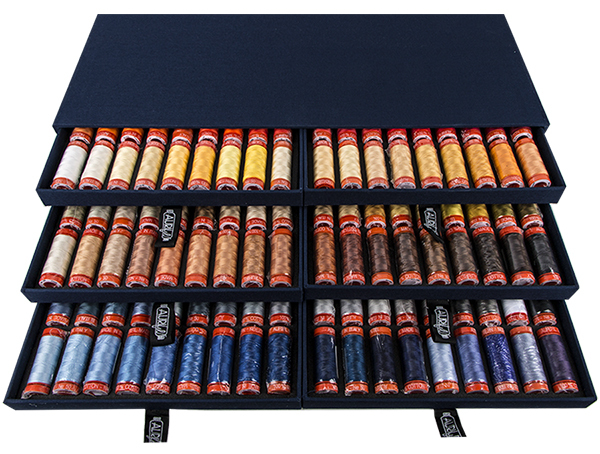 Cotton Thread includes 234 solid spools and 36 variegated spools. The case has SIX pull-out drawers with slots for each spool of thread. It's a quilter and sewist's dream! But wait - there's more. Really! We're also giving away three $100 Fat Quarter Shop Gift Cards, to treat three of our customers to some quilty retail therapy and creative fun at our Fat Quarter Shop online store! *If, by chance, you don't have a Facebook account, you might consider signing up for one. We happen to think the chance at the Aurifil Full Selection Thread Case is worth the few minutes it would take to sign up, don't you?! If not, stay tuned here on the Jolly Jabber for more giveaway fun! We appreciate you, Quilting Friends and valued customers. We hope you enjoy this week of super sales and giveaways galore!